Sorry, we couldn't find any Plymouth GTX listings that matched your search criteria. Here are all of our Plymouth listings. Here are Nationwide listings for a Plymouth GTX. Here are our listings for all model years of the Plymouth GTX. 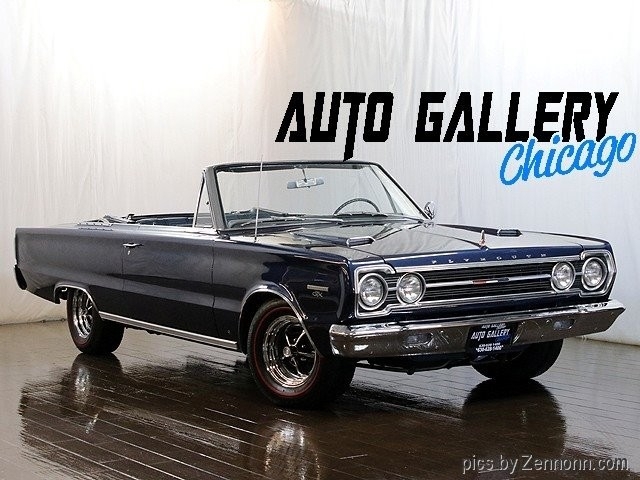 Sorry, we couldn't find any 1967 Plymouth GTX listings that matched your search criteria. You might be interested in these similar years for Plymouth GTX. Avg. Dealer Rating: (8 reviews) "Very friendly staff that I spoke to. " Avg. Dealer Rating: (14 reviews) "They replied in a timely manner. I decided to move in another direction. " Avg. Dealer Rating: (9 reviews) "they added the pics as requested"
Avg. Dealer Rating: (48 reviews) "Helpful, knowledgeable, no pressure. I told Brett what I wanted, looked at and drove the car told him what I would pay, handed him a check and took the car home. Done deal"
Avg. Dealer Rating: (9 reviews) "They responded with a "sold". Didn't try to help me find another vehicle. I bougjt one elsewhere"
Avg. Dealer Rating: (3 reviews) "Prompt, standard reply form. No further contact.Likely store's SOP, and that is understandable. I would deal with them if the deal was sweet. Honest "Vibe"." Avg. Dealer Rating: (55 reviews) "Immediate response and very nice conversations. Didn't make a deal but still a good experience. " Avg. Dealer Rating: (9 reviews) "Great response!" Avg. Dealer Rating: (53 reviews) "A good place to deal in a quality car"
Avg. Dealer Rating: (54 reviews) "Great cars in inventory and salesman very nice to talk to"
Avg. Dealer Rating: (7 reviews) "Vehicles are priced on the high side for me !! Also offered me $6-k less for my trade than i sold it for to another DEALERSHIP for !!!" Avg. Dealer Rating: (21 reviews) "When contacted response was immediate but said it was sold, what else can they sell me instead? Declined but received a reminder over a week later and shows still available?? In fact, as of today, over 2 weeks later, STILL ON THEIR WEBSITE and not listed in “sold inventory”. Appears to be a classic bait and switch? Perhaps they are just guilty of not updating their website properly but I feel I was sent on a “wild goose chase”. Anyway, they have some really nice cars so hate to say this but buyer beware. " Avg. Dealer Rating: (8 reviews) "all good"
Avg. Dealer Rating: (22 reviews) "Very cool shop and the owners were very responsive with showing the car. " Avg. Dealer Rating: (9 reviews) "Friendly staff "